My new kitchen tool. 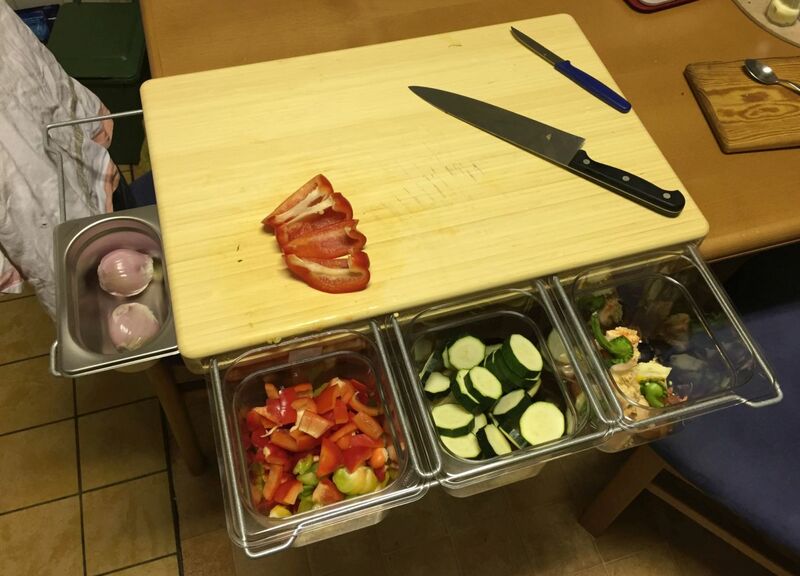 A very useful cutting board, with metal frames, where standardized containers can be “plugged in”. Thereby it is possible to put the cut vegetables (or other things) directly into the containers, keep them apart from trash (put into dedicated trash container). Very nice tools and high quality, I could really recommend this for people who like to cook regularly.